It seems that the white iPhone 4 will have subtle change in its attire, when it comes to Verizon. At least that is what the buzz around a believed-to-be leaked picture of the white iPhone 4 taking its round in the web says. The picture which is now getting tweets and retweets shows a seemingly white iPhone 4 connected in the USB mode with a machine. However the major point in the picture is that the side of the device is plain- means there is no SIM card slot there. This supports the rumors that this device is headed to Verizon since it doesn’t use SIM cards. To add more spice, the picture shows ‘Verizon’ displayed on the top corner of the screen in blue letters hinting that the device is meant for the network. If the leaked image is anything to believe, the White iPhone 4, when it comes to Verizon, will have major antenna redesign also. However, a majority of experts believe it is just a handiwork by somebody using Photoshop. Many say that the areas near the SIM tray and Antenna in the picture show different contrast and traces of clone work when zoomed in Photoshop. May be true, may be false. We haven’t got any tip off from our usual sources regarding the authenticity of the picture. But we are trying to get clear info. We will let you know if it is the real white iPhone 4 on Verizon. Stay tuned. 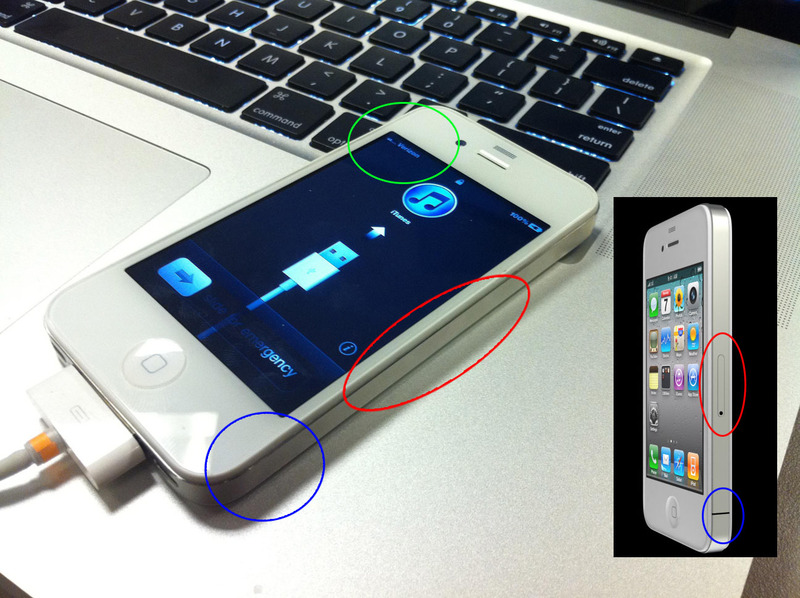 In the meantime, take a look at the two images of this alleged Verizon White iPhone 4 here and here.